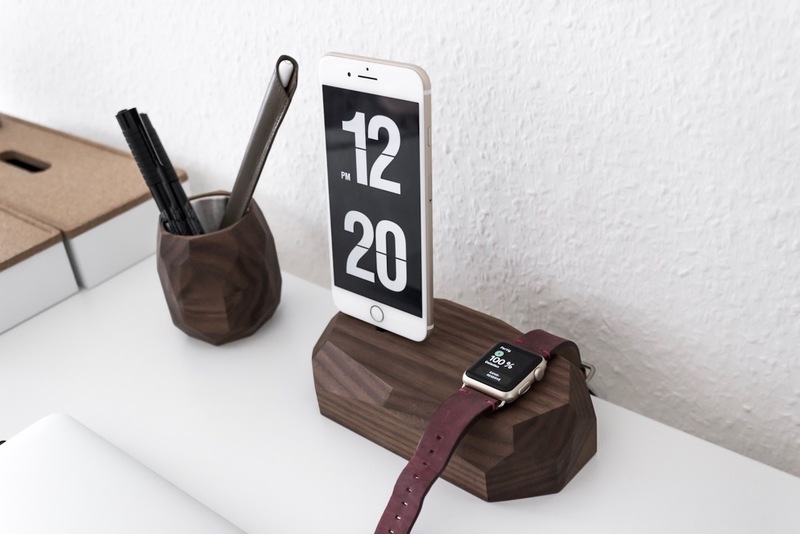 Stylishly charge your iPhone and Apple Watch at the same time with the Combo Dock iPhone and Apple Watch Dock. 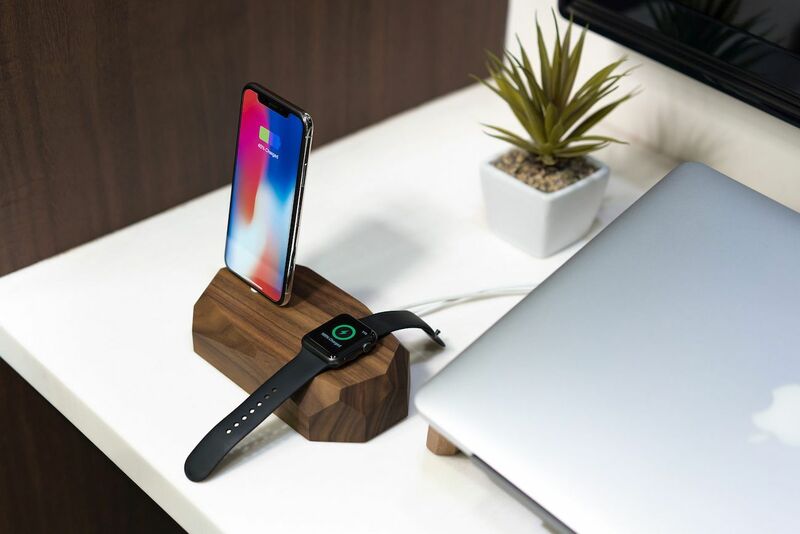 Stylishly charge your iPhone and Apple Watch at the same time with the Combo Dock iPhone and Apple Watch Dock. 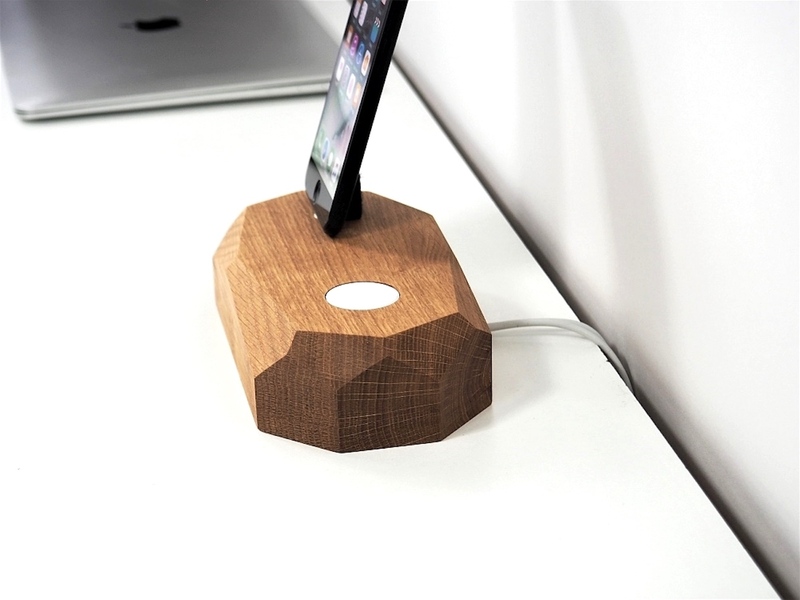 Using solid wood, this handmade docking station features a unique geometric shape. 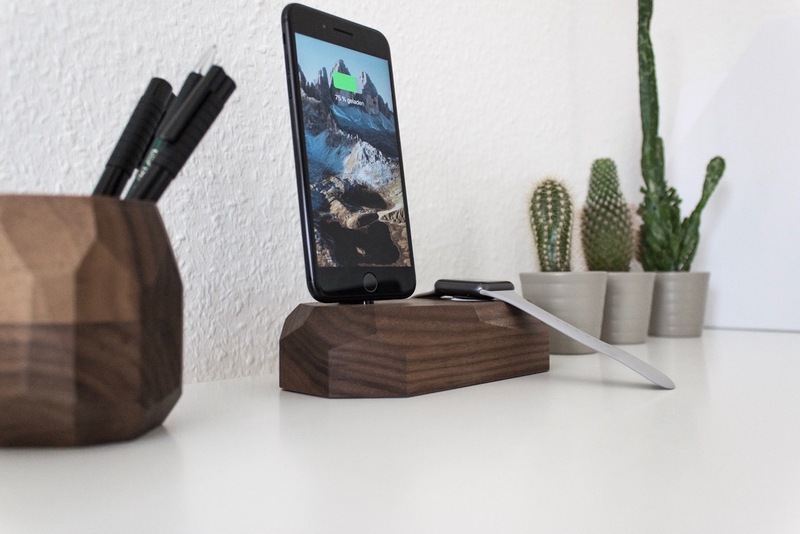 Likewise, the Combo Dock looks original on any surface such as your work desk or bedside table. 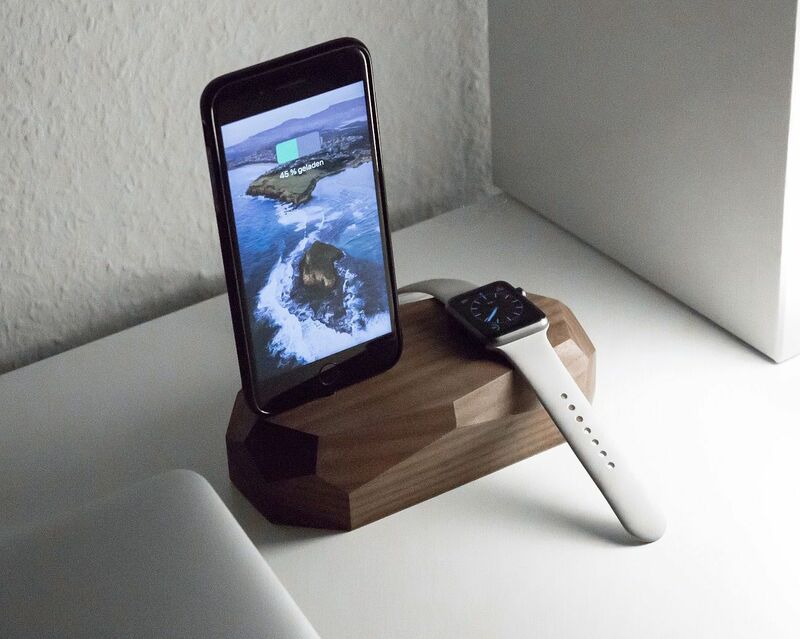 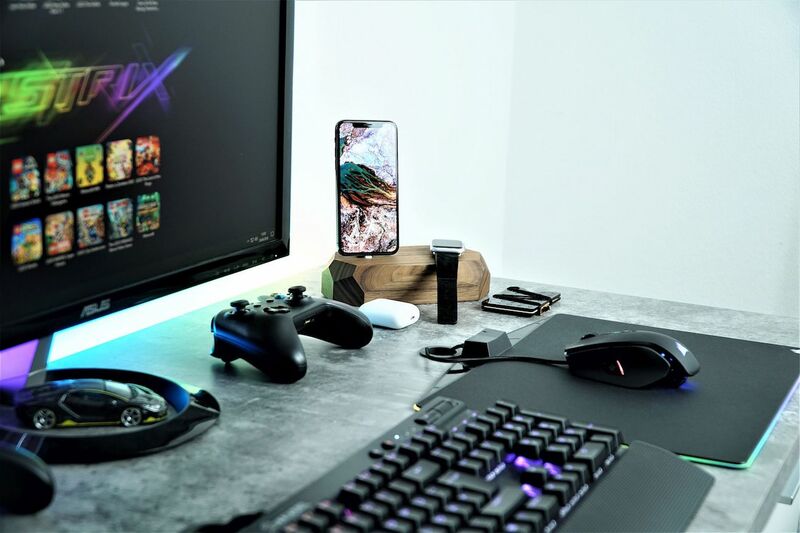 The Combo Dock is compatible with iPhone 5, 6, 7, 8 and X as well as Apple Watch Series 1, 2 and 3. 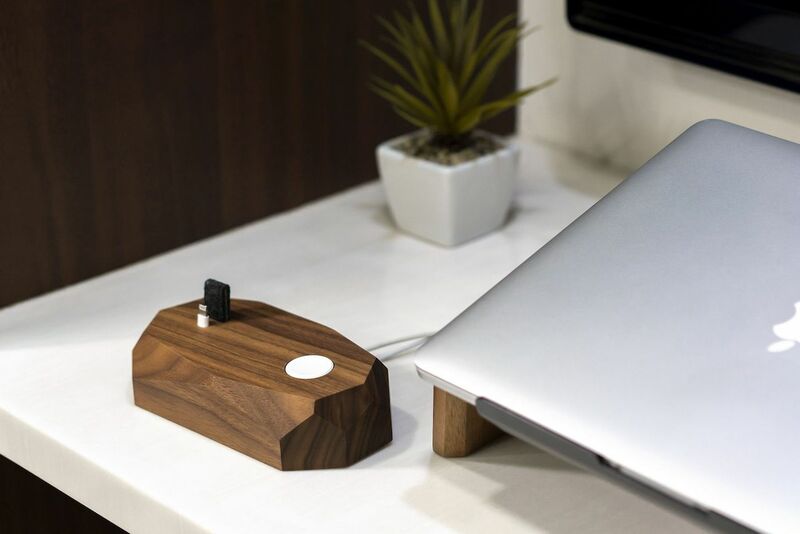 Additionally, the Apple Watch dock area comes with a magnet hold. 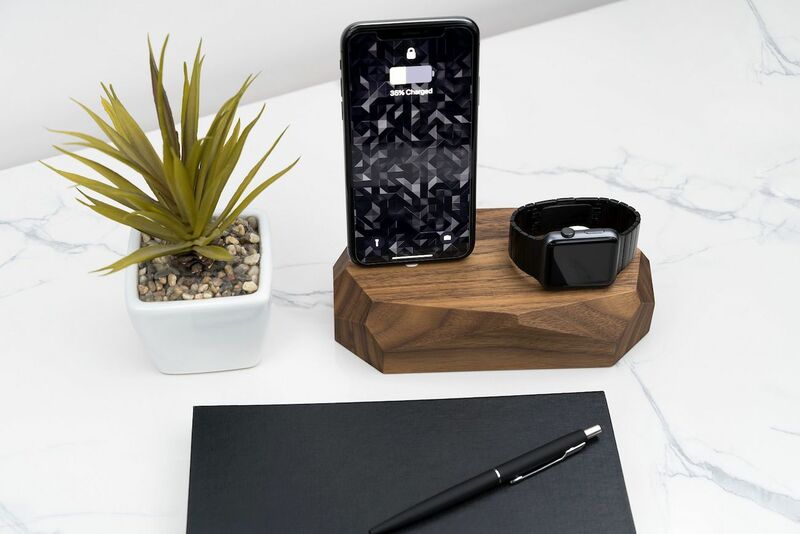 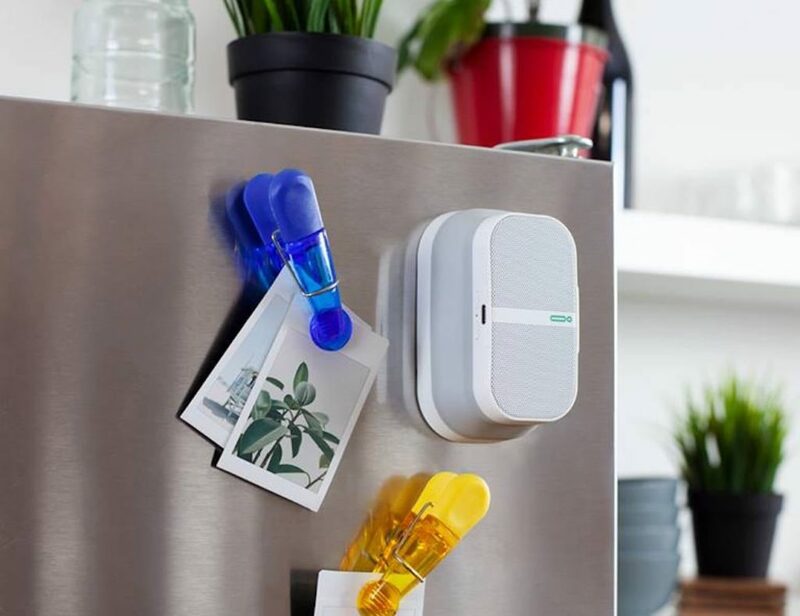 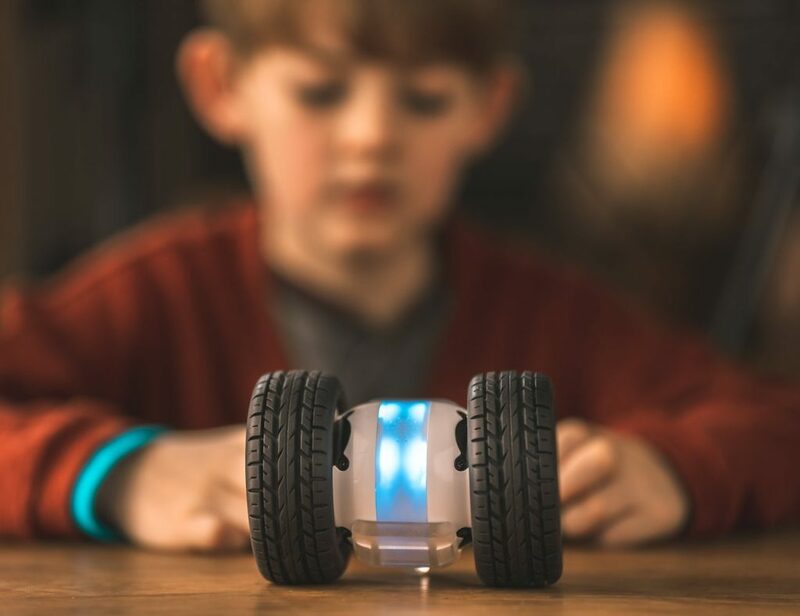 Featuring micro-suction tape technology, the Combo Dock is a one-hand operation. 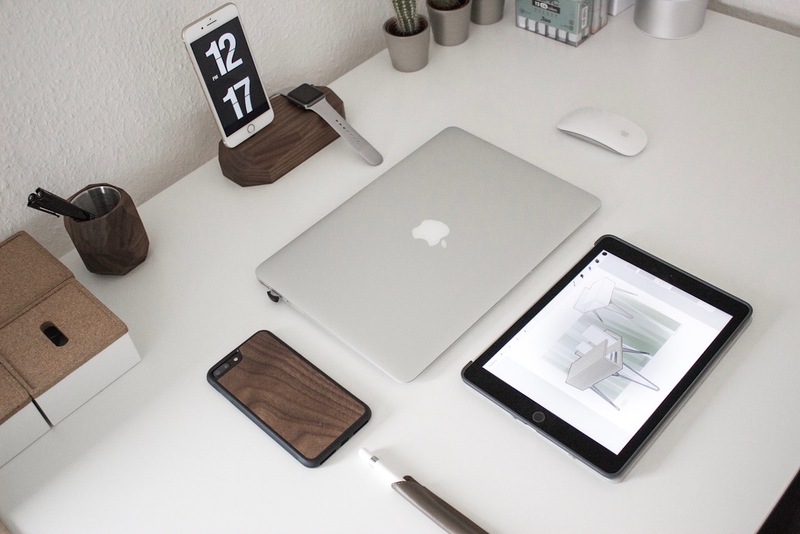 Furthermore, it features a bendable steel backing so you can adjust the backing to fit any iPhone case. 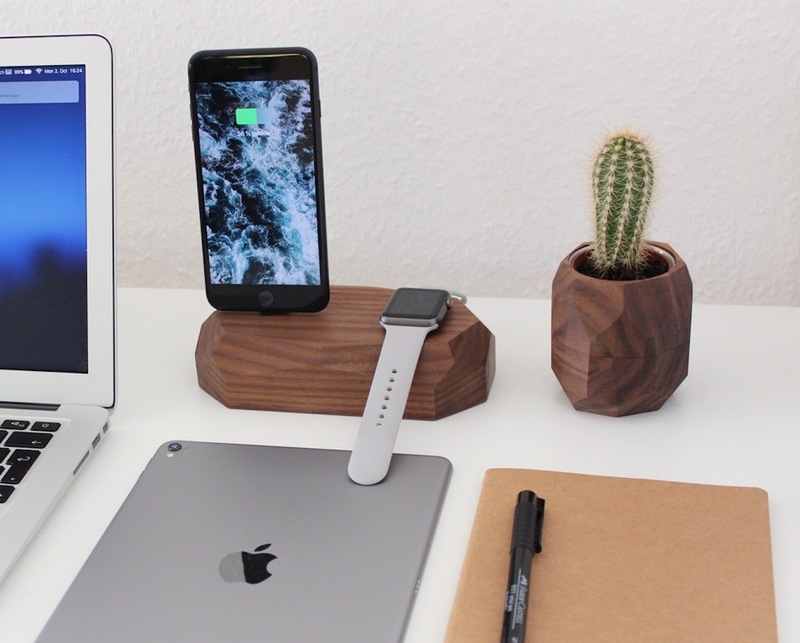 Finally, it protects your smartphone using premium wool felt.